Welcome to a centre of medical science and natural healing arts. We practice patient centered, not disease centered medicine. Discover a progressive approach to health care. Curious about naturopathic medicine? Wondering if it's right for you and your situation? Want to know if naturopathic medicine can help you? Acupuncture is used to treat pain, fertility, hormone balance, mood regulations and digestive issues. 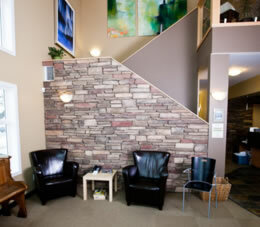 Make your visit quicker and easier by filling out our on-line forms before you visit the office.